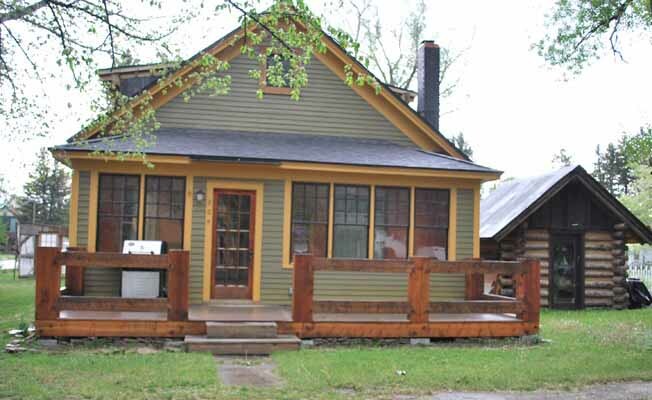 This 7 person capacity guest house is in the small town of Manhattan, MT and is perfectly located for those who like to fly fish or participate in other outdoor adventure activities and enjoy being in a quiet small town neighborhood & local community and yet is only 18 miles from Bozeman. *3 bedrooms *2 bathrooms with showers *Sleeps 4-7 (2 queen beds, 1 king bed, 1 single bed) *No smoking, no pets *Gas fireplace *Washer & Dryer *Fully furnished including linens *WiFi (wireless internet) available in the house *Flat screen TV with DVD player for movie watching, but, no satellite or cable *No phone available, but cell service works here *Garden fresh salad makings when available *Gas grill on front deck *Additional services such as pre-stocking groceries, meal service, river shuttle service may be available *Owners of the property, Joe and Alissa, live on-site in a separate house on the back of the property. Owners are available regularly for assistance during your stay.The back yard is reserved for owners and is separate from the guest house. The front yard, front porch and front entrance of the Pale Morning Dun Guest House is reserved for guests.